As an internet marketing provider, we have looked at hundreds of pest control service providers’ websites. Some websites are good. Some are bad. Some are terrible. We aren’t talking about graphics, or even search engine optimization (SEO) — although those are important. 1. State your service area(s). A footer and a “Contact Us” page. Put your physical address in the footer of your website and on your contact page for ease of viewer reference. Have your website developer use a data schema (he or she should know the term) to mark up the address and aid in your Google Local rankings for SEO. A service area map or list. If it makes sense for your market, add a map that visually reflects your service area. Otherwise, a list of the counties or major towns, along with the phrase “And Surrounding Areas” goes a long way in indicating where you work. This can go on a standalone “Service Area” page or in the content of a main page. Inclusion in the content itself. Your website developer should update your meta titles and page description so viewers and Google know where you work. 2. Use local phone numbers. We have come across websites that do not tell what their service area is and, maddeningly, have a toll-free phone number. Where is this company located? Where do they offer service? Even in the world of cell phones, area codes still help differentiate where we are from. It’s one thing for a consumer to have an out-of-area number — perhaps they moved, but kept their cell phone number. It’s another thing entirely for your business phone number to not reflect the area you service. If you are committed to retaining your toll-free number, be sure that your service area is explicitly stated so there is no question about where you are located and the location you service. A best practice is to have your phone number featured prominently “above the fold” so it is visible right away when a visitor lands on your website. 3. Spell out which pests you treat. To consumers, “pest control” is a broad term. Do you control bed bugs? How about termites? Wildlife? Pigeon removal? The more information you can give the visitor about which specific pests you treat, the more confident they will be that you can help them. You’ll also be doing yourself a favor by giving search engines a clear indication of what your services are. Keep in mind: While creating one page and listing in bullet points or a run-on sentence the pests you treat may seem like the least time-consuming way to accomplish this, it will not help you overall. Rather, take the time to create individual pages for each pest, and list them in an easily accessible menu. Even if you technically only offer “General Pest” and “Wood-destroying Organisms,” break it down by pest types. This is a great way to keep your website clean for visitors, and will help you in your SEO and search engine marketing (SEM) efforts by providing relevant, content-rich pages. 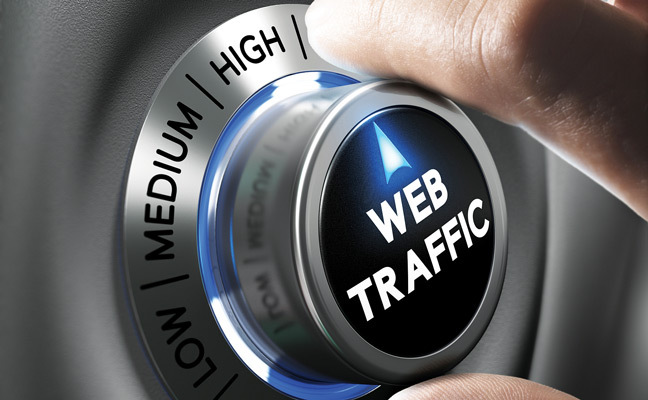 The search engines will reward you with more traffic — and that traffic will be more inclined to call, knowing you can handle their problem. 4. Include a call to action. Mrs. Smith lands on your website, and sees you are local and can handle a pest she has a problem with. Great! You have her attention; now tell her why she should call you. and beyond, and really compel that person to call you for help. Do you offer any coupons? What about free inspections or same-day service? Have you been in the community for 30 years? Do you regularly receive 5-star reviews? Communicate clearly and effectively why visitors should call you right now. And make that call to action front and center so they see it. 5. Add a review page. Reviews can go either way, good or bad, but they are an important part of how customers make decisions. If you are receiving rave reviews about your services, why not showcase them? While review sites such as Yelp or Google Reviews have your reviews online to view, it’s wise to round up your best reviews on a page on your website for potential customers to see. Giving customers a review page can allow them to learn about your coupon, service areas and locale, the pests you treat, and how others view your pest business, all in one spot. This allows their decision-making to become one-stop shopping. Danielle Pesta is the digital editor for PMP magazine and its parent company, North Coast Media. She can be reached at dpesta@northcoastmedia.net or 216-363-7928.